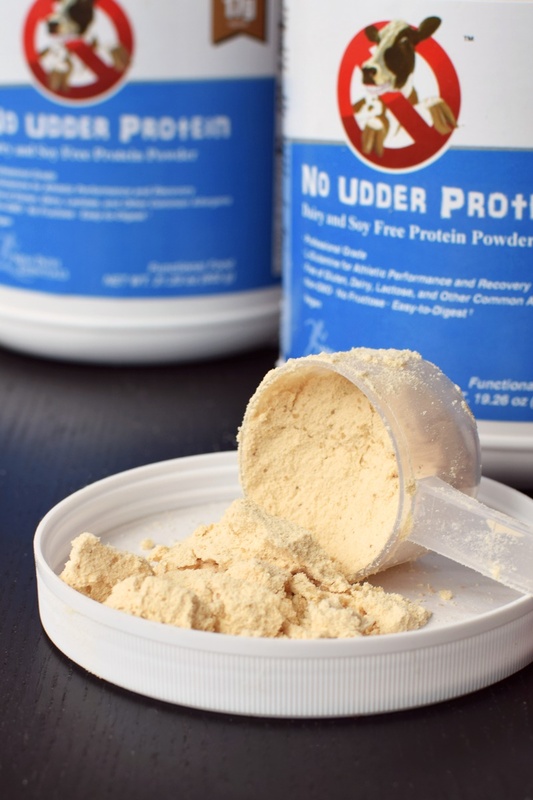 I have to admit, the cute name and logo for No Udder Protein Powder is pretty hard to resist. But does it deliver on taste? We conducted a full taste test to find out. 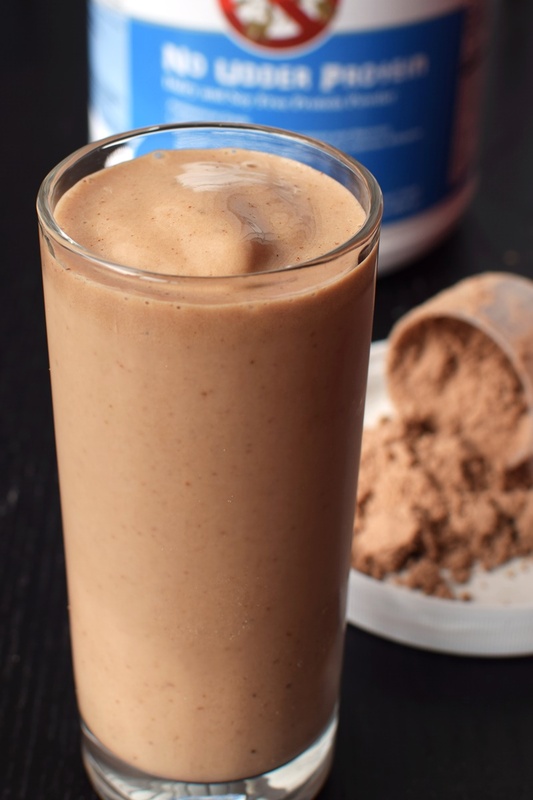 No Udder Protein Powder is a true performance blend. 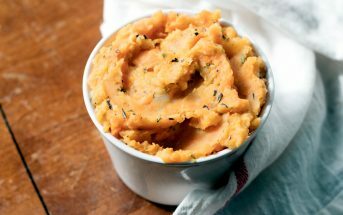 It has 17 grams of protein per serving, primarily from pea protein, but it also contains a little rice protein. It’s infused with a fiber complex that provides 5 grams of fiber, and is fairly low fat. It has 6 grams of sugars per serving, which is a little higher than many comparable brands. However, I viewed this as a good thing. 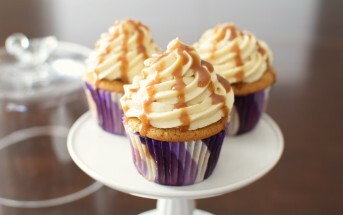 Rather than going overboard with sugar-free sweeteners, they use vegan cane syrup and a little stevia. I think this creates a more genuine flavor rather than chemical. We trialed the Vanilla and Chocolate No Udder Protein Powder varieties and were surprised at the differences! As with all of my protein powder reviews, I use just 1/2 serving in a straight frozen banana and unsweetened almond milk smoothie. I usually do a little taste-test in water, too. 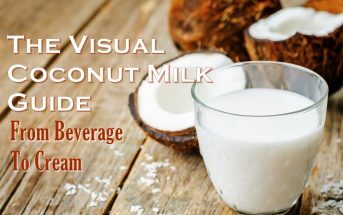 The Vanilla No Udder Protein Powder was very creamy and enriching in my banana smoothie with virtually no residual powder in the consistency. The vanilla flavor shines through and even battles the banana for top billing. But in the end, it’s a definite banilla flavor. We thought it had a very pleasant sweetness overall. There was a little bit of excess “sweet” in the aftertaste, but it didn’t shout stevia to me. In water, the Vanilla No Udder Protein Powder wasn’t half bad. It dissolved brilliantly and had a palatable taste. I’m not a fan of protein powder in water, so that’s as good as it gets! This variety was also quite thick and creamy in my typical smoothie blend. It had just a slight powdery finish that I didn’t detect in the Vanilla. The Chocolate No Udder Protein Powder was also a bit overwhelmed by sweetness. The stevia and cane syrup were bold and not quite balanced with the cocoa. It was pretty good, but I later added a little more cocoa powder and some salted nut butter to my smoothie to create a more cohesive flavor. In water, it was just too potently sweet and not chocolate enough for our tastes. Certifications: No Udder Protein Powder is labeled as vegan, gluten-free, and non-GMO, but we didn’t note certifications for these. 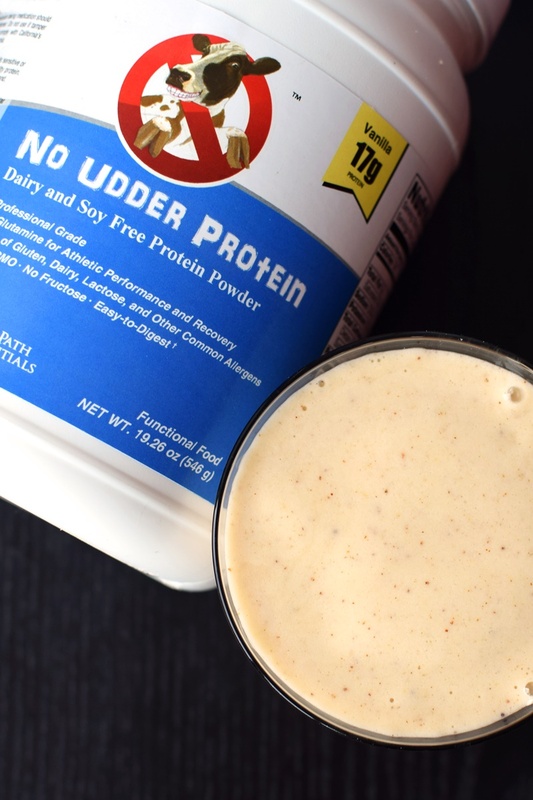 Dietary Notes: By ingredients, No Udder Protein Powder is dairy-free / non-dairy, egg-free, gluten-free, nut-free, peanut-free, soy-free, vegan, and vegetarian. Nonetheless, read the label and check with the company on their manufacturing processes before consumption if potential allergen cross-contamination is an issue for you. Processes and labeling are subject to change at any time for any company / product. 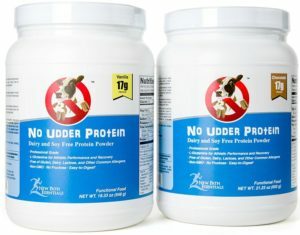 For More Product Information: Visit the No Udder website at www.noudderprotein.com. My raves are for the Vanilla, which hit the mark in terms of sweetness, flavor, and smooth consistency. It isn’t half bad with water, but truly shines in smoothies where the pea protein base does its creamy magic. The Chocolate was pretty good, but we found it a bit too sweet and not quite rich enough in cocoa. It also had a slightly more powdery finish.